How do I renew an Add-on? In order to renew an add-on that you purchased, you can follow the steps mentioned below. Login to WPEmailLog.com by clicking on the Login menu. 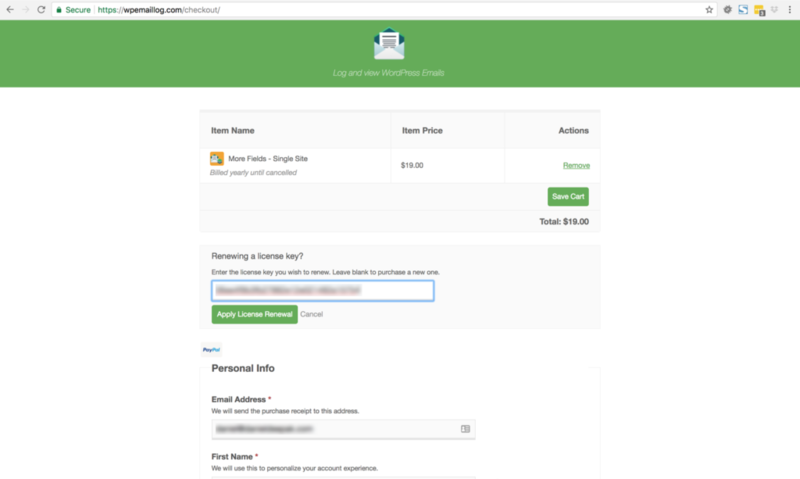 Add the add-on from the Store, that you wish you to renew, to the cart by clicking on the Purchase button and click on Checkout. In the Checkout page, click on the “Click to renew an existing license” link and enter the license that you wish to renew. You can then continue to make the payment and your license will be renewed with applicable renewal discount if any. 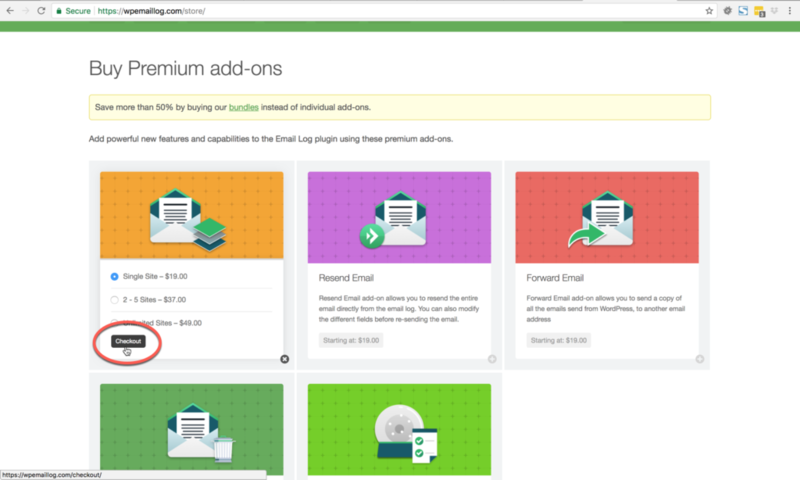 There are other ways to renewing the add-ons than the one mentioned above. 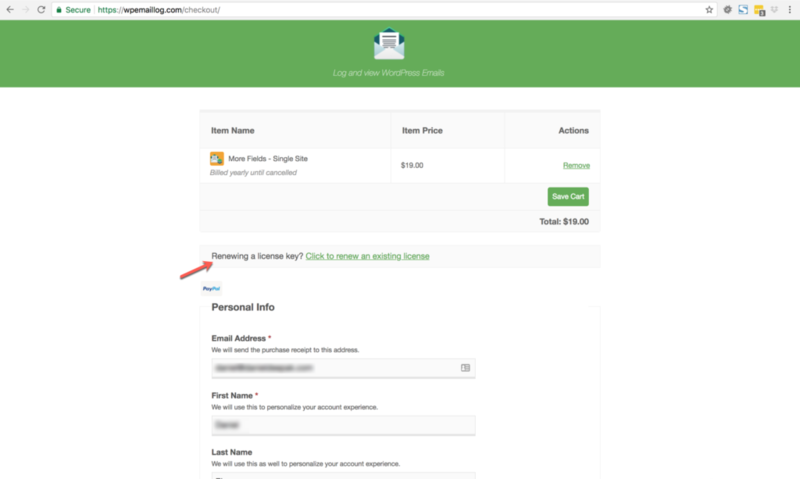 Click on the “Account” menu, after you login on WPEmailLog.com, and all your orders will be listed in the Account page. You can then click on the “Renew License” link to renew the add-on. 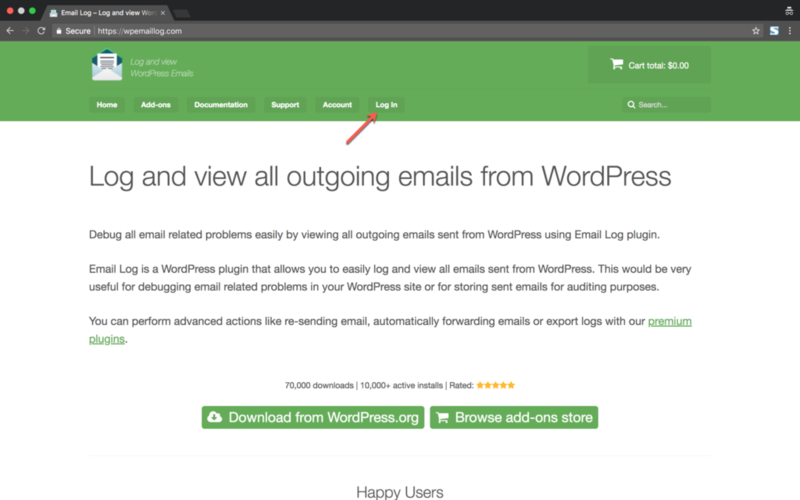 Login to the WordPress Admin dashboard, on your website. Navigate to “Email Log” → “Add-ons” dashboard menu. 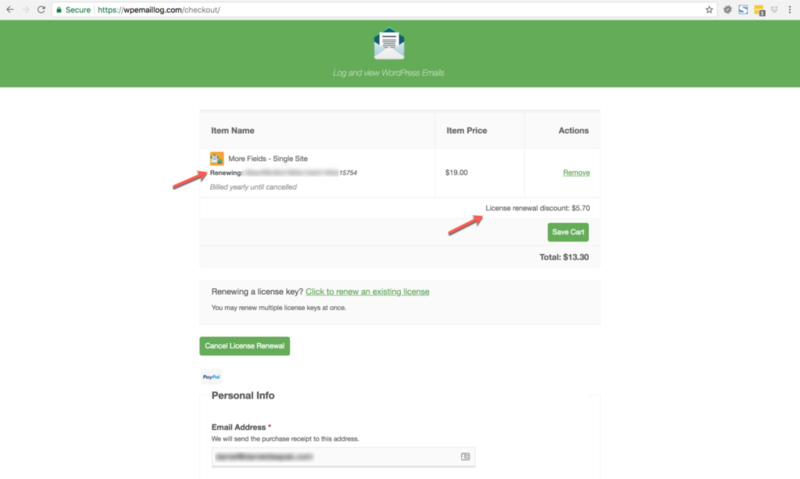 Click on the “Renew license” link on this page and complete the payment to renew the add-on.